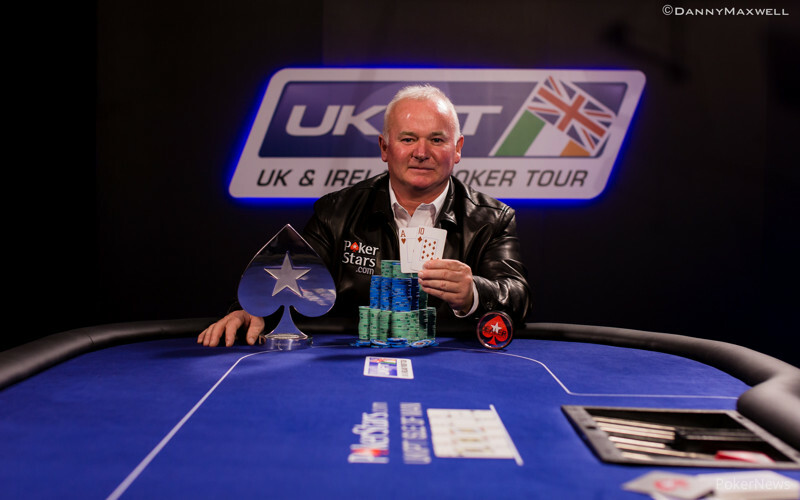 After five action-packed days of tournament poker, Duncan McLellan was crowned the first ever UKIPT Isle of Man champion winning £94,090 after he beat Team PokerStars SportStar Fatima Moreira de Melo in a short heads-up battle. McLellan, a bricklayer from Corby said he planned to play a few more tournaments with the money while he also is hoping to take his grandson to Disneyland. Despite finishing second, de Melo recorded her best ever result taking home £59,660 for her second place finish. The event saw big names like Daniel Negreanu, David Williams, Vanessa Rousso and Jason Mercier make their UKIPT debut at the spectacular Villa Marina on the seafront in Douglas as 379 players enter the tournament with £121,000 added to make up the £500,000 guarantee. The final table of eight saw PokerStars qualifier Jamie O'Connor leading at the start of the day but there was no major action until the end of the first level when de Melo doubled up with aces against Daniel Stacey's ace-jack. The early stages saw the chip lead swap around several times as Christopher Jonat, O'Connor, McLellan and Richard Milne all took turns being the top dog. Adam Topping was the first player eliminated, he had moved all in for 498,000 over the top of Richard Milne's raise to 60,000. Milne called with , dominating Topping's both before and after the board of . 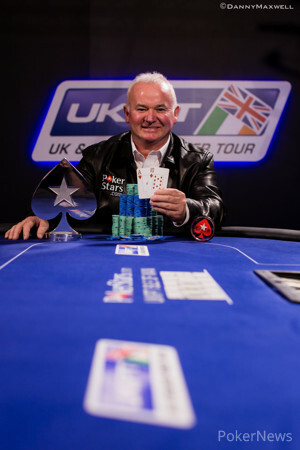 By this point, McLellan had been chipping up nicely, winning many pots uncontested and becoming the first player over the 2 million chip mark. Most other players had become content with laddering up while the two most aggressive players other than McLellan, O'Connor and Stacey were both nursing short stacks and unable to fight back. 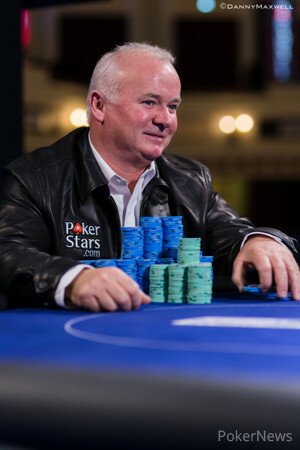 O'Connor was eliminated in seventh place, a perfect spot saw him squeeze all-in. McLellan called with worse but spiked to leave six players remaining. This was where it all kicked off, the very next hand saw Stacey shove with but his nemesis de Melo had picked up once again and quickly dispatched him on a board. Immediately after, McLellan attempted to bust Harry Lodge but the latter held a superior ace-ten to the chip leader's ace-deuce, managing to briefly survive. Lodge wouldn't last too much longer though as McLellan eventually got his man. 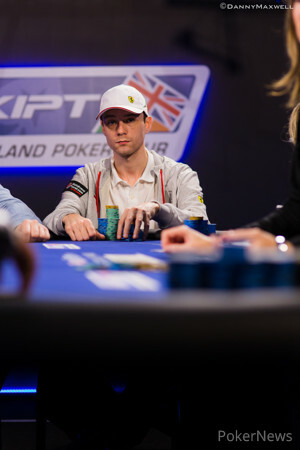 With four players left, Christopher Jonat was the sole Manx representative. Jonat, who is the head of the PokerStars Team Online, ran a big bluff against McLellan which failed. Left short, Jonat moved all in with the next hand with but ran into McLellan again, the latter was this time holding . Three-handed, there was talk of a deal between McLellan, de Melo and Milne but after about ten minutes the chip leader McLellan rejected this out of hand. The three restarted and straight away de Melo picked up queens when Milne had moved all in with king-five, no king was seen on the board and de Melo suddenly found herself heads-up. 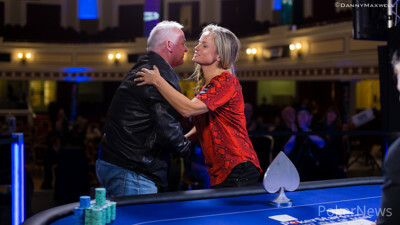 The battle for the UKIPT championship saw McLellan start with just over a two-to-one chip lead and after he won a big pot early on, it looked as though de Melo would need to double up if she was to have any chance of claiming her first major title. Sadly for her, the of McLellan proved too strong for de Melo's after he flopped a Broadway straight to win the Isle of Man's first ever UKIPT. The UKIPT's next stop sees it to return to Nottingham's Dusk Till Dawn club in a few weeks for a Six-max event that's bound to attract another big crowd. For the PokerNews Live Reporting Team here on the Isle of Man it's over and out but stick around because the World Series of Poker Main Event Final Table is only a few hours away and PokerNews will be providing complete hand-for-hand coverage! 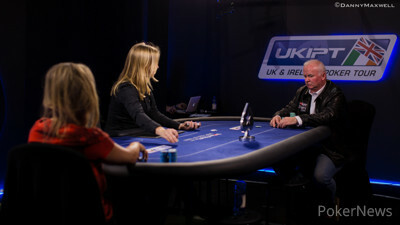 In the meantime, here is Laura Cornelius interviewing the UKIPT's newest champion. Fatima Moreira de Melo moved all-in from the button for 965,000, about 20 big blinds. Duncan McLellan made the call and the cards were turned over. Moreira de Melo had and it was a race against the of McLellan. The flop came giving McLellan the broadway straight. The on the turn meant Moreira de Melo was drawing dead and the came on the river. Fatima Moreira de Melo raised to 100,000 preflop and Duncan McLellan called. The flop came and both players checked. The came on the turn and both players checked again. McLellan bet 195,000 on the river and de Melo called. McLellan showed and de Melo had . Chop it up. Fatima Moreira de Melo opened for 100,000 and Duncan McLellan called and we saw a first flop of . McLellan bet out 190,000 and De Melo called. on the turn again McLellan bet, this time 290,000. The river was the and McLellan checked. De Melo went for a bet of 360,000 and McLellan thought for a minute before making the call. De Melo turned over and McLellan won a decent pot with . Play has resumed. Fatima Moreira de Melo versus Duncan McLellan. The players are on a short 10 minute break before heads up play commences. Richard Milne on the small blind moved all-in and was instantly called by Fatima Moreira de Melo in the big blind. Milne had and Moreira de Melo had . The board ran out . Milne was out in 3rd and they are now heads up.